On Sunday 25th March, I had my first trip of the year to The Bowes Museum. 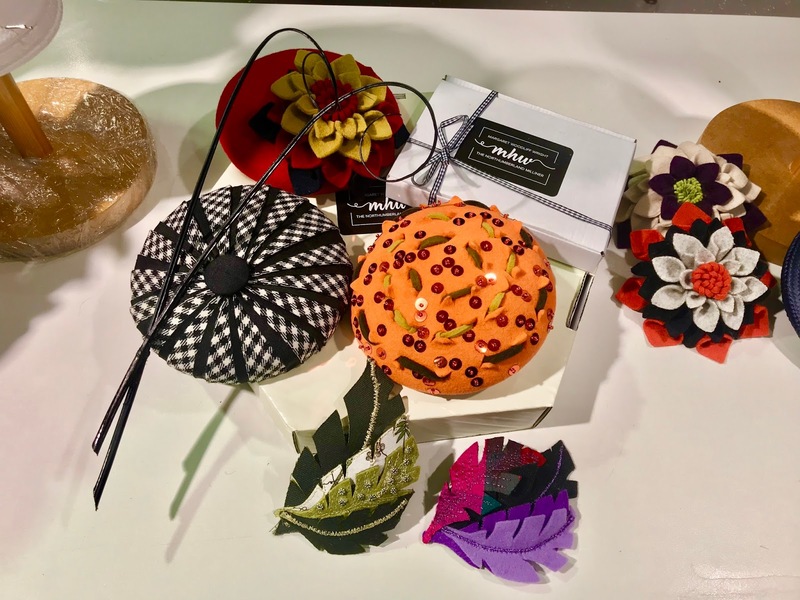 I've not been for a while, and I was really excited to visit the new exhibitions (these will be featured in upcoming posts) but the main reason for my visit was to take part in the 'All Ready for Summer' workshop, ran by my wonderful friend, milliner Margaret Woodliff-Wright (read more about Margaret's work here). My Mam loves to craft, so when Margaret told me about her workshop I thought taking part would make the perfect Christmas gift for her; I booked a place for us both. To make the day even more perfect we awoke to glorious sunshine, the perfect weather to see the museum in all it's glory and what better way to get ready for summer than with a backdrop of beautiful blue skies! We arrived early, so started our day with brunch and a coffee in Café Bowes, followed by a visit to the Jonathan Yeo exhibition, Queen Victoria in Paris and to the fashion and textiles gallery to take in the new acquisitions (all of which I'll feature on Coco so stay tuned for those!). We met Margaret in the Education Rooms ready to start our crafting. 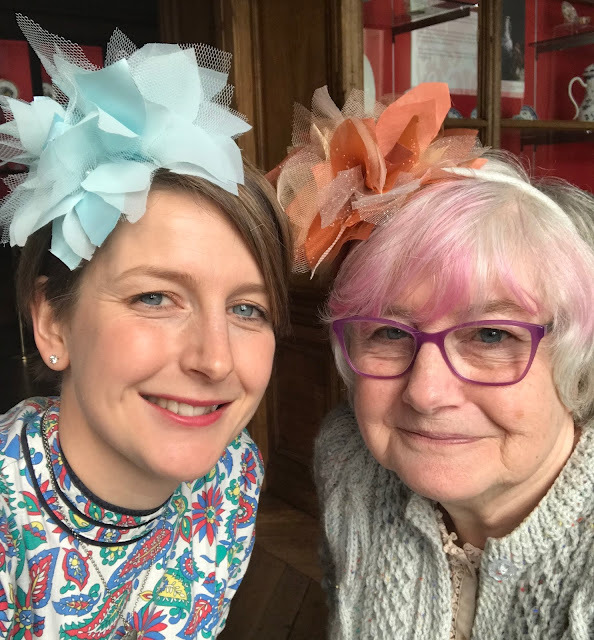 We looked at some examples of beautiful hats that Margaret had made and then she set us to work wrapping fabric around a metal hairband, a couture technique that would form the base of our fascinator. Next, we had to choose which colour fabric we wanted to use, and cut it into squares. 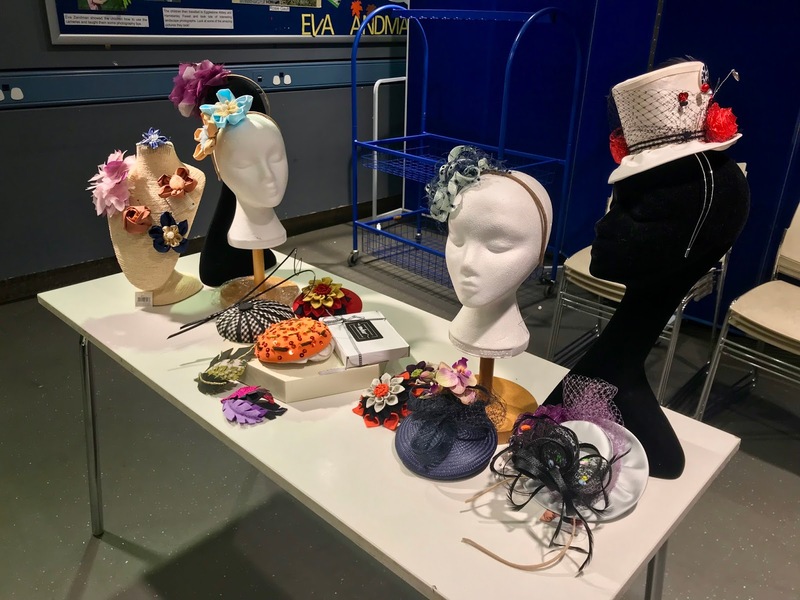 We used a combination of netting, chiffon and 'solid' fabric, cutting a number of each which we would then combine to make up the three flowers for our fascinators. Once we had our fabric layered, it needed to be folded and cut into a flower shape, then pinched together and stitched to form each flower. I realise that I make this sound really simple, but it was super-fiddly! I was so glad that I had both my Mam and Margaret on hand when occasionally things went a little off track! Once my flowers were formed, I managed to sew two of them to my hairband (my Mam helped with my third) and when it was all put together I was astounded at how beautiful it looked; I couldn't believe what I'd managed to create in just a couple of hours! Our finished fascinators, mine in baby blue and my Mam's in a beautiful copper colour! It was lovely to spend an afternoon chatting with the ladies and creating such a gorgeous piece. I like to think of myself as a creative person, but I definitely wasn't a natural at this!! Be sure to watch out for Margaret's next workshop, she's a great teacher! We finished our day with a cream tea in the ceramics gallery which was absolutely delicious! We all wore our fascinators whilst we ate, which was a really nice touch! I loved every minute of the workshop and I'm pretty sure my Mam did too! Mam, me, lovely events coordinator Rosie, Sylvia and Erica in true fascinator fashion! If you're interested in taking part in one of Margaret's workshops, be sure to check her website here, or alternatively if you'd like to try a workshop at the Bowes Museum, you can see what's available and book via their events page here. This is my second workshop at the museum, you can read about my first, learning fashion illustration with Frances Moffatt here.